The story of how David Bowie got from L.A. to Berlin is infamous: Tired of cocaine and plasticity, he left the City Of Angels for a drying-out, DIY environment behind the Wall, brought Iggy Pop, hooked up with Brian Eno and crafted the most potent and inventive music of his career. Considering what he’d already accomplished—compiled on previous boxed sets from this series Five Years (1969–1973) and Who Can I Be Now? (1974–1976)—that’s saying something, especially since with the Berlin Trilogy, he all but invented the new wave and all synth-punk from that point forward. 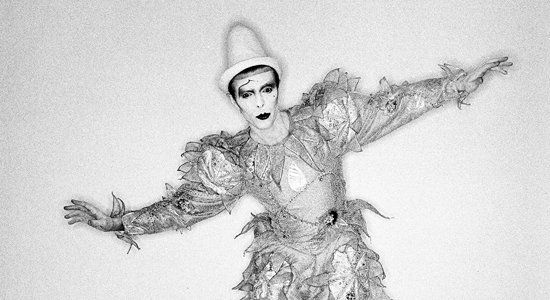 To go with the sad, minimalist spikiness of 1977’s Low, the jagged freneticism of “Heroes” (also 1977) and the wonky tribalism of 1979’s Lodger—all featuring Burroughs-technique cut-and-paste lyrical play—Bowie examined Bertolt Brecht cabaret (the BBC-aired Baal), icy elegant ambience (second album sides of Low and “Heroes”, along with 1980 instrumental single “Crystal Japan”) and, with 1980’s NYC-recorded Scary Monsters, menacing music and lyrics that were angry, forlorn and inclusive of all he learned in Berlin. By the time Bowie jettisoned Berlin for Manhattan, moments such as “It’s No Game (No. 1)” and “It’s No Game (No. 2)” portray an artist not just shedding his skin—which he’d done so many times in the past—but crawling out of one, as if lost in a fever dream. Brilliant.